Shah Rukh never misses a chance to pose with his children and more so with little AbRam, who he has the most pictures with. We all know that actor Shah Rukh Khan is a doting father and more so to his youngest son AbRam, who he can be seen posing for pictures with almost every chance he gets. The two have fun doing various activities together from chilling at home to going on trips abroad to even spending time together on film sets. 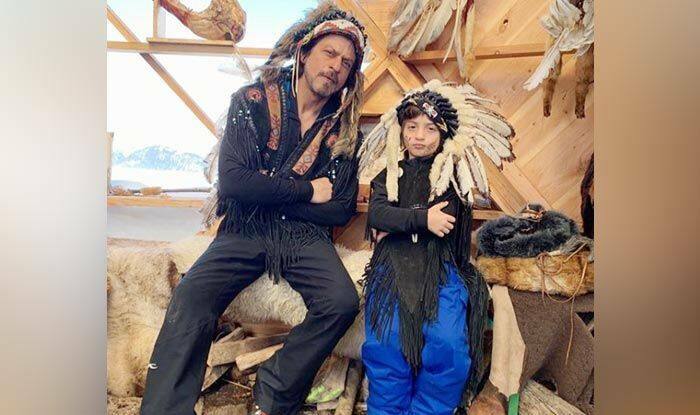 Recently, Shah Rukh’s wife Gauri shared a picture on her social media of the father and son dressed up as Native Americans, and they looked totally adorable. On the work front, Shah Rukh was last seen onscreen in movie Zero alongside actresses Anushka Sharma and Katrina Kaif. The movie had been directed by Aanand L Rai and it was written by Himanshu Sharma.